Maintaining a healthy, weed-free lawn can take some work. Most homeowners want their lawn to be green, lush and not plagued with weeds. If left untreated, it will take no time at all for weeds to takeover a once healthy lawn. The best way to deal with the problem is not to let the problem take root in the first place. Keeping your lawn properly fed, watered and mowed will help greatly in reducing a habitat that lawn weeds will find friendly. Pull any large weeds such as dandelions out by hand before they bloom and are able to reseed themselves into the lawn. It will be easier to get rid of the weeds if you catch them at the start of their growing process. Apply herbicide designed specifically for lawn weeds onto your lawn. Follow the directions on the package when applying it, whether the herbicide is granular or liquid. Applying too much can kill the grass you want to live. Read the package to make sure the herbicide is designed to treat your particular grass. Mow your grass regularly and do not cut the grass too low. Cut the grass to a height of approximately 2.5 inches. It is better to cut the grass too high, than too low. Cutting the grass too low will scalp it and open it up for disease and death which frees the area for weeds to take root. Water the lawn on a regular schedule with deep waterings, opposed to shallow. The water will then get to the entire root system and not just on the surface. Place an empty can such as an old tuna can, into the middle of the lawn as it is being watered. Once the can has filled with water, the lawn has received enough. Depending on the weather and how hot or cold it is, water the lawn approximately two to three times each week. Fertilize the lawn on a regular basis to cut down on weeds and keep in healthy. 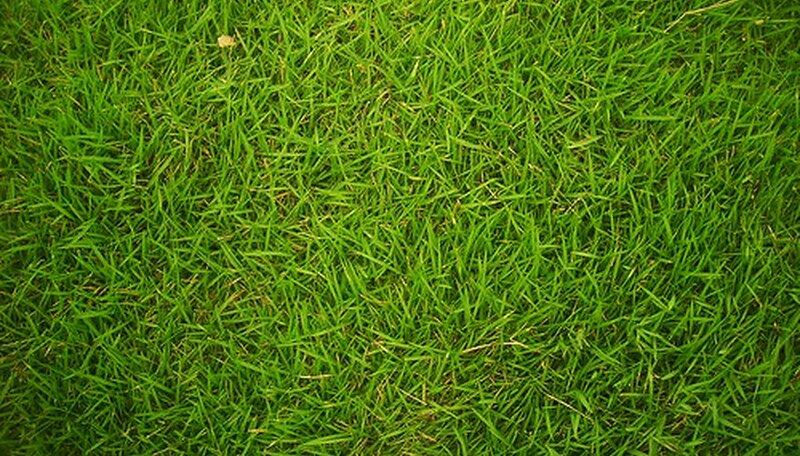 Choose a fertilizer designed specifically for your type of grass. Most grass types will require fertilizer 3-4 times per year to keep it in its best shape. Be cautious when applying a granular weed and feed to the lawn. Applying too much can injure or kill the good grass. Do not apply weed and feed on a regular basis. Switch to a regular fertilizer the next time you fertilize after using a weed and feed. Apply a top coat of top soil onto the grass once a year. This will give the grass extra organic matter for nutrition and will help keep it healthy and cut down on weeds growing in it. The thicker and more dense your lawn is, the less chance weeds will have to take root in it.